Home Ramblings What’s up with Curses, Anyway? 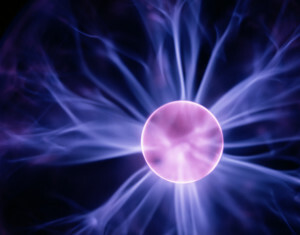 First of all, both physics and metaphysics agree that everything in the Universe is energy. Curses are a form of directed, typically negative, energy. Different people have different experiences, but the most common manifestations resemble health issues suddenly appearing, “luck” changing into missed opportunities or into hazardous situations, or other physical problems in the environment (car problems, house problems, etc). The good news is that, like all energy, they can be transformed or channelled into another direction fairly easily. The bad news is that if the problems go on long enough, they get programmed into the victim’s subconscious mind as expectations, and take more effort to undo. Why? Because your thoughts are energy, too! You’ve encountered someone who just wanted to spew negative energy. You may have visited someplace that has some negative energy collected in a kind of puddle, or you may live in a house or apartment where a previous resident (living or not) has left their energetic doo-doo all over the place, and you’ve started tracking it around everywhere with you. Once you’re aware of it, you can probably track it down to its source and remove or reduce it drastically (more on that topic later). It’s probably the easiest of problems to deal with, precisely because there’s no direction or resistance to deal with. This time, it’s personal… Maybe. Someone has a grudge against you, and wants you to be punished for it. The Evil Director (the one responsible for sending the energy off) consciously and deliberately wishes for you to come to harm, and does whatever he or she knows about to make it happen–short of actually physically confronting you. This kind of person is actually a bit of a coward, and plots from afar. But it may not be about you. It could be about red headed women, or Asian men, or someone who wears purple slacks, or is a Giants fan. It’s almost random, but not quite. Tracking the negative vibes to their source can involve a long frustrating search, because if it’s not about you personally, but about your taste in perfume or silk shirts, the field of possible perpetrators grows almost exponentially. Defense is your best offense in this case. If it is about you, you may be completely unaware of what you did to offend the Evil Director, but I’m betting you can probably identify him or her in a very short amount of time. Oh how peachy! Someone just hauled off and zapped you with negative energy. And guess what? It wasn’t even you they were aiming for! You just got caught in the crossfire. It’s the worst of both the above cases. If it’s mistaken identity, chances are good that once you clear it up, it’s done, over, finis. With the other two, you’ll notice that it comes back, and it will follow a pattern, related to a place or a behavior (I lump clothing, perfume and sports teams in the behavior category).